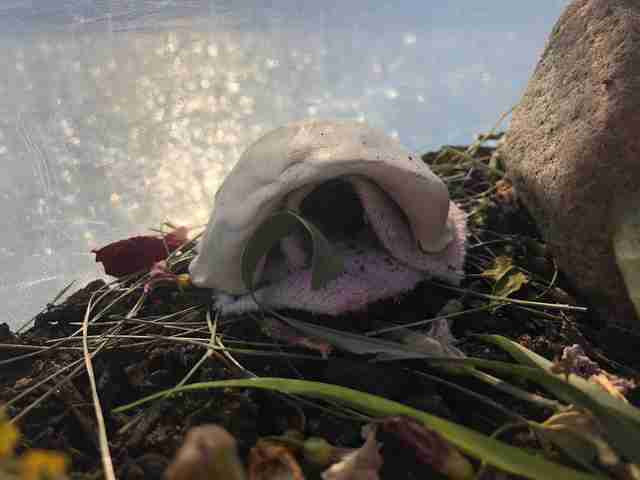 Ashlie Lennox, 22, was in her backyard in Kelowna, British Columbia, Canada, when she spotted a little creature lying motionless on the concrete deck of her pool. Though the bee seemed subdued and was unable to fly, Lennox still felt wary. “I was very afraid and intimidated by her at this time,” she noted. 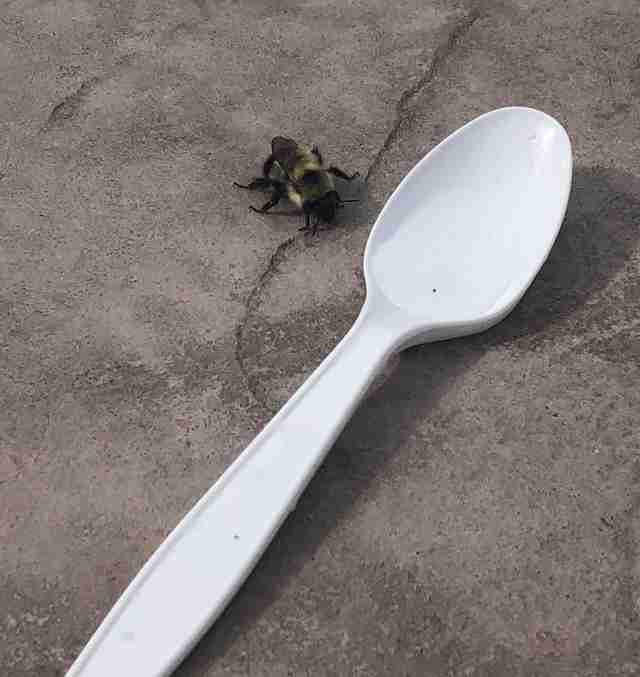 But in order to get the little bug to safety, Lennox faced her fear, using a spoon to place the bee in a flowerpot. 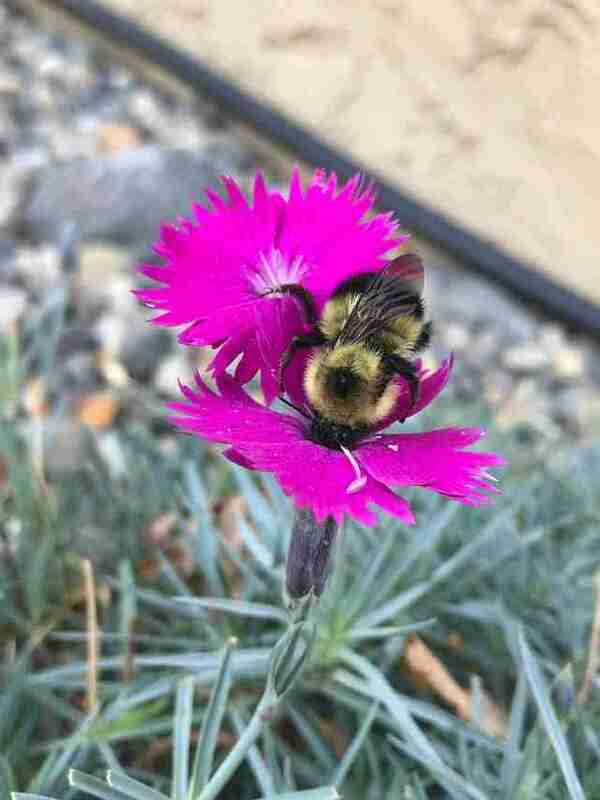 The next day, she went to check on the injured bee only to find the plant empty. 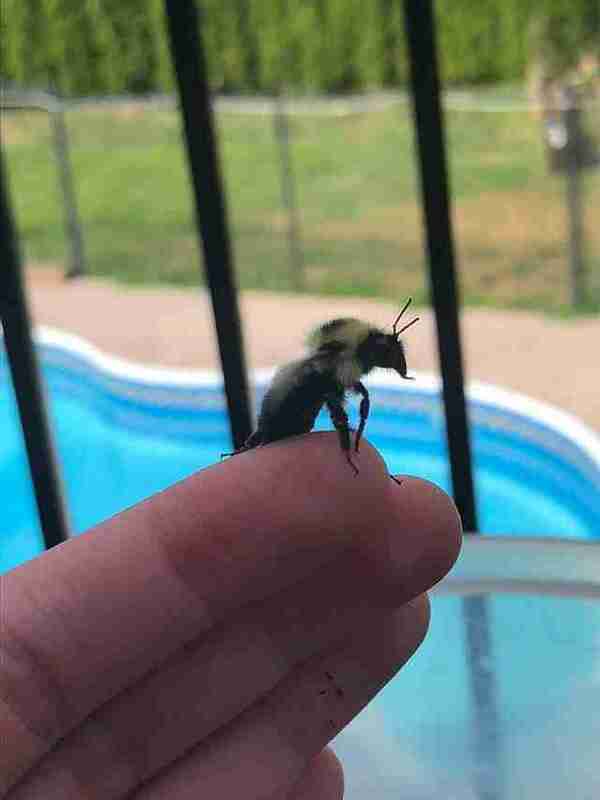 But the black and yellow bee hadn’t gone too far on her own — she’d only managed to crawl back to the pool deck. This time Lennox wasn’t taking any chances. 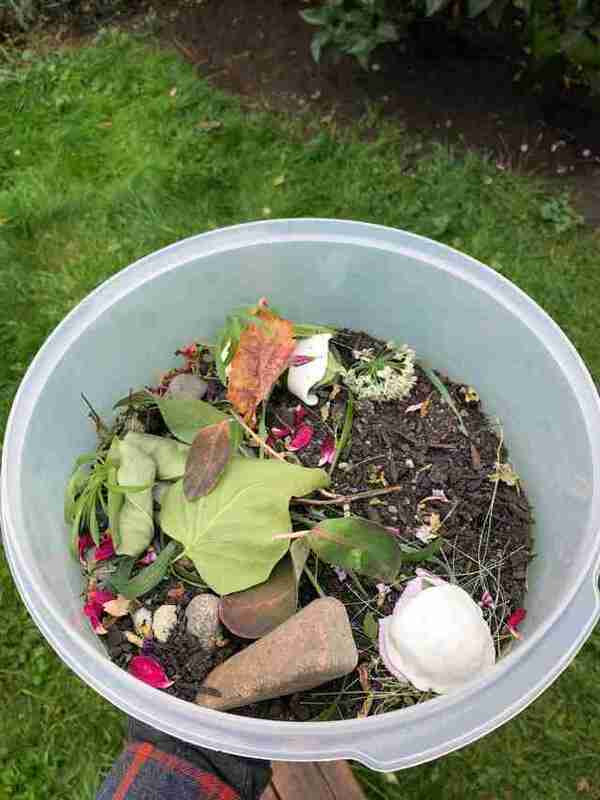 “I yet again picked her up and I put her in a big Tupperware bin filled with dirt, some leaves, grass and a few little flowers,” she explained. It took time, but Lennox and the bee, whom she named Beetrice, started to form an unlikely bond. Though Beetrice was injured, she wouldn’t give up on trying to fly with her remaining wing. Lennox could see how the multiple failed attempts seemed to put stress on the bee, but little by little, Beetrice adjusted to her new life. To make her more comfortable, Lennox started upgrading Beetrice’s home — first moving her into a small reptile tank, then a large plastic tub full of all of Beetrice’s favorite things. 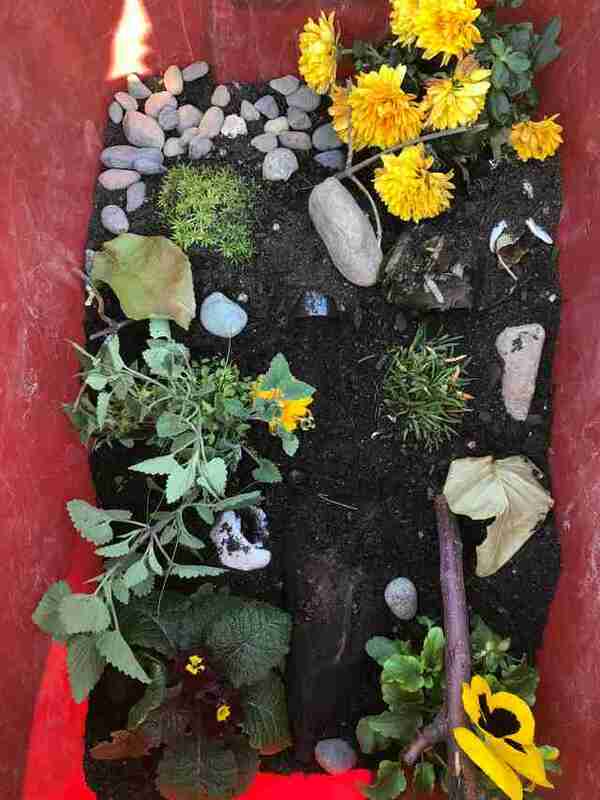 Beetrice quickly learned that getting held usually meant food was on the way — and all Lennox had to do was poke her finger into the plastic tub for the little bee to climb up her hand. When Beetrice needed some time alone, she’d let Lennox know with a soft, warning buzz. Lennox even gave Beetrice a hiding place, a little cave made out of clay and some cut-up socks. Weeks passed, and the two fell into a rhythm. Lennox brought Beetrice’s tub out during the day, letting her enjoy the sunlight, then moved it back inside at night to protect her from the cold. Lennox learned to respect Beetrice and was constantly entertained by the social little bee’s interest in everything around her. “She has a huge heart and she’s a silly little thing!” Lennox added. For over a month, the two built a loving friendship, but in early October Lennox began to notice a change in her friend. 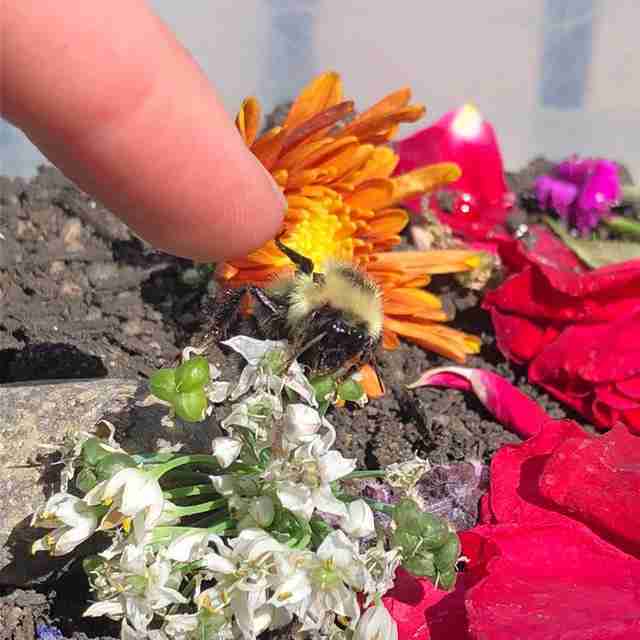 She knew Beetrice had already lived much longer than expected, and that she had given her a “good bee life,” Lennox said, but that didn’t make saying goodbye any easier. On Monday night, Beetrice passed away. 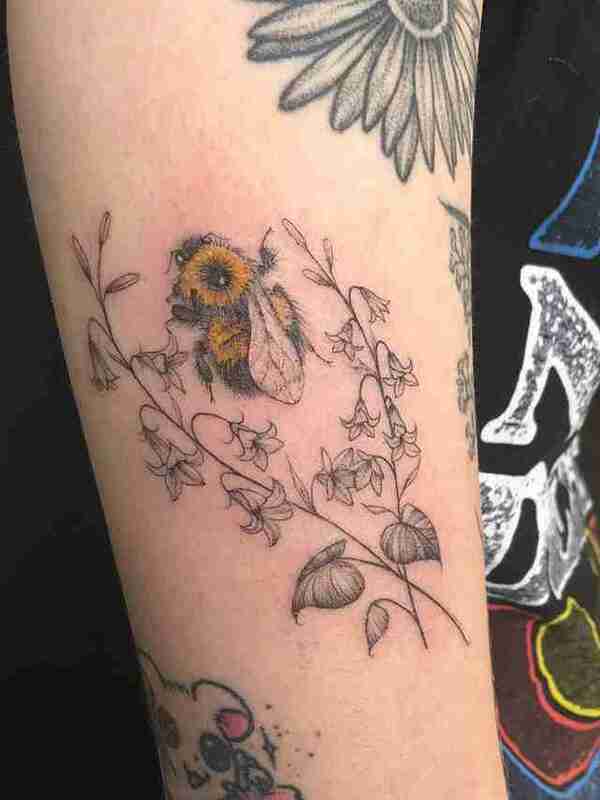 But Lennox had a plan to keep her memory alive — a way to commemorate all the days spent with Beetrice crawling on her arm, gently tickling her skin with her fuzzy legs. While Lennox had given her friend the gift of life, Beetrice taught Lennox to look at the world, and all the creatures who inhabit it, in a kinder way. “My time with her was lovely,” Lennox added.